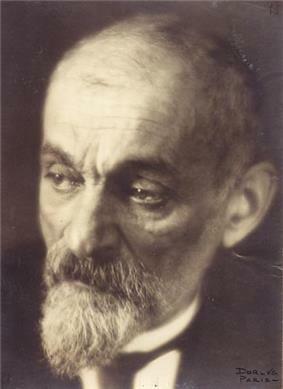 Lev Isaakovich Shestov (Russian: Лев Исаа́кович Шесто́в, 1866 – 1938), born Yehuda Leyb Schwarzmann (Russian: Иегуда Лейб Шварцман), was a Russian existentialist philosopher. Born in Kiev (Russian Empire) on February 13 [O.S. January 31] 1866, he emigrated to France in 1921, fleeing from the aftermath of the October Revolution. 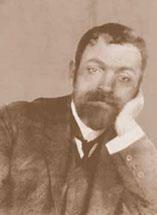 He lived in Paris until his death on November 19, 1938. Shestov's dissertation prevented him from becoming a doctor of law, as it was dismissed on account of its revolutionary tendencies. In 1898 he entered a circle of prominent Russian intellectuals and artists which included Nikolai Berdyaev, Sergei Diaghilev, Dmitri Merezhkovsky and Vasily Rozanov. Shestov contributed articles to a journal the circle had established. During this time he completed his first major philosophical work, Good in the Teaching of Tolstoy and Nietzsche: Philosophy and Preaching; both authors mentioned in the title had a profound impact on Shestov's thinking. Shestov's works were not met with approval even by some of his closest Russian friends. Many saw in Shestov's work a renunciation of Georges Bataille. 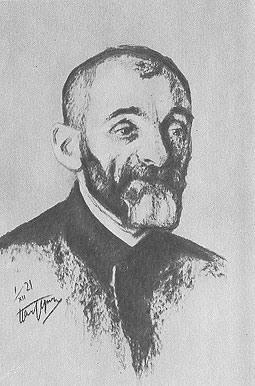 Shestov's dislike of the Soviet regime led him to undertake a long journey out of Russia, and he eventually ended up in France. The author was a popular figure in France, where his originality was quickly recognized. In Paris, he soon befriended, and much influenced, the young philosophy journal. In the interwar years, Shestov continued to develop into a thinker of great prominence. During this time he had become totally immersed in the study of such great theologians as Blaise Pascal and Plotinus, whilst at the same time lecturing at the Sorbonne in 1925. In 1926 he was introduced to Edmund Husserl, with whom he maintained a cordial relationship despite radical differences in their philosophical outlook. In 1929, during a return to Freiburg he met with Edmund Husserl, and was urged to study Danish philosopher Søren Kierkegaard. Shestov was highly admired and honored by Lucien Lévy-Bruhl and Albert Camus in France, and D. H. Lawrence, Isaiah Berlin and John Middleton Murry in England. Among Jewish thinkers, he influenced Hillel Zeitlin. ^ 'All Things Are Possible', Koteliansky Translation (1920 / Secker, London). ^ 'Foreword' to 'All Things Are Possible' by D.H.Lawrence (1920). ^ 'Introduction' to 'All Things Are Possible' by Prof. Edouard d'Araille (2001/LTP Ed. ).